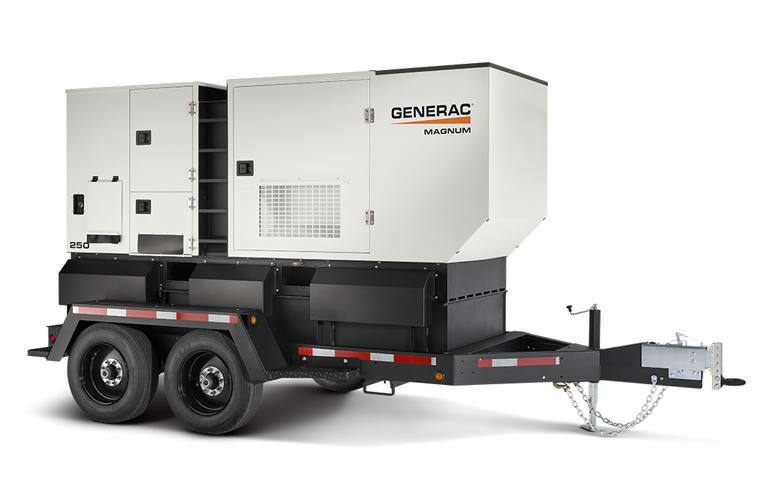 The MDG250DF4 mobile diesel generator delivers maximum performance and versatility. The turbocharged, 6-cylinder John Deere® Final Tier 4 engine is reliable and durable. Selective catalytic reduction (SCR) exhaust after-treatment limits harmful emissions and minimizes soot buildup. The aluminum, sound-attenuated enclosure provides quiet operation and is rust proof for a long-lasting, attractive appearance.